You'll be set with this cheval mirror in your home decor. The piece carries a rich finish and features a tilting oval mirror, which allows you to obtain the angle you need. 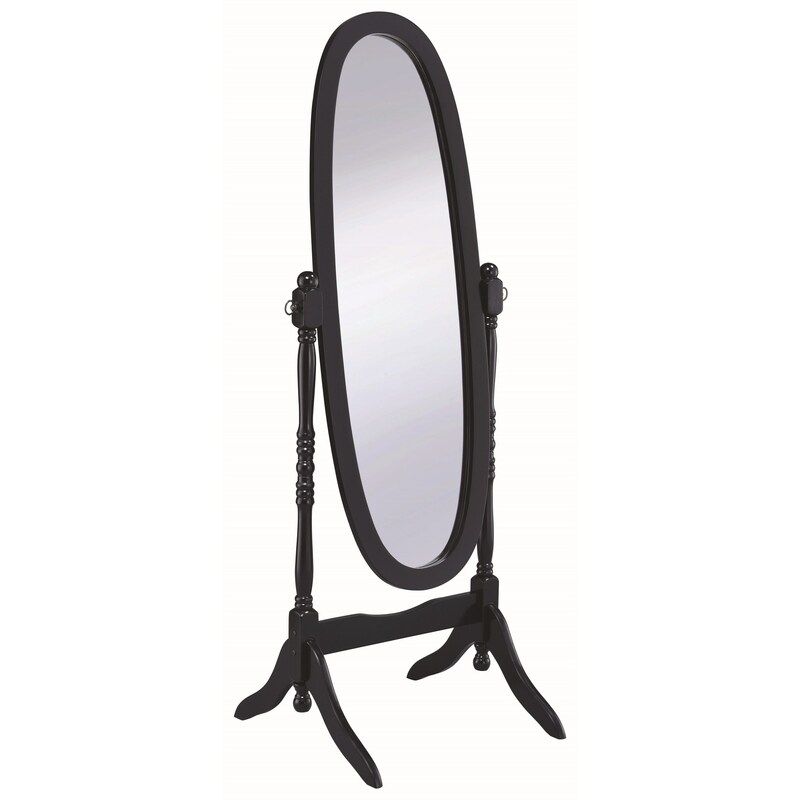 There will be a lot to like with this cheval mirror in your home. The Accent Mirrors Cheval Oval Mirror by Coaster at Sam Levitz Furniture in the Tucson, Oro Valley, Marana, Vail, and Green Valley, AZ area. Product availability may vary. Contact us for the most current availability on this product. The Accent Mirrors collection is a great option if you are looking for Traditional Traditional furniture in the Tucson, Oro Valley, Marana, Vail, and Green Valley, AZ area.